Hey Music’s Antoinette Smith meets London-based artist, Kara Marni, to find out what’s on her 2019 ‘to-do’ list. Did creating cover versions of your favourite songs help you discover your sound? Basically, my parents are very big music fans and have a huge collection of vinyl and CDs. From when I was very young, my father would always play the incredible big female voices — Aretha Franklin, Chaka Khan. When I first heard them, I was like, “Oh my goodness, I want to sound like them!” I took to that sound, that soulfulness, and as I’ve got older it’s become part of my sound. The minute I discovered Amy, Lauryn Hill, Erykah Badu, I fused the sounds, but I hate putting myself into a box. Were you not scared about how people would react when you covered such iconic songs? I always say try and stay away from the classics, then I go straight in and do a cover of Whitney! The thing is, if you put your own stamp on it, then it makes it yours, it’s no longer the original. These are the artists that have inspired me and I wanted to put something out while I was working on my own stuff to get my name out there. How did it feel to release your first EP, Love Just Ain’t Enough? Amazing! I’ve been working so hard and I’m so proud of it. I’m really happy it’s out there and so happy with the response. I’ve written so much since then, I’m ready for the next batch of music. Describe the creative process behind the EP. It was a collection of stuff I’d written over the years, but when I do a body of work I like to work with one or two producers. I like working with someone I can connect with, so it feels cohesive. What was the hardest obstacle to overcome in the process? Being able to open up to people I don’t know that well. You can have quite raw and fresh emotions, stuff you haven’t even told friends about yet, and you’re in the studio writing about it. You have to be very vulnerable and I’m not like that in real life. But once I got to know the producers and everyone I was working with, I knew I was safe and didn’t have to be worried. Putting out those songs into the world is very scary, they’re like your babies. Move sets the tone for my new stuff. There are influences from TLC, the ’90s, but it was so much fun to shoot! You supported Rita Ora and Raye on tour last year. How was that? To have that under my belt is amazing. Being surrounded by such strong females all supporting each other is really nice. I hope that one day I’ll be in a position to bring someone along [on tour] that I really believe in. What’s your usual routine before you go on stage? I have some crazy warm-ups, but before I go on stage I like to be by myself, to channel and centre myself. What’s on your 2019 ‘to-do’ list? If you liked what you’ve just read, check out the previous issues of Hey Mag. 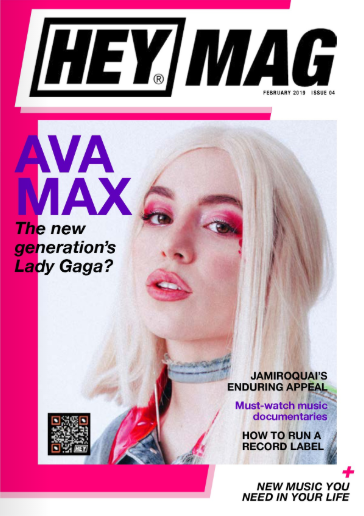 In the February issue, discover more about Ava Max, the super-fresh newcomer who’s slayed charts worldwide and how Jamiroquai have super-charged their kaleidoscopic funk grooves. 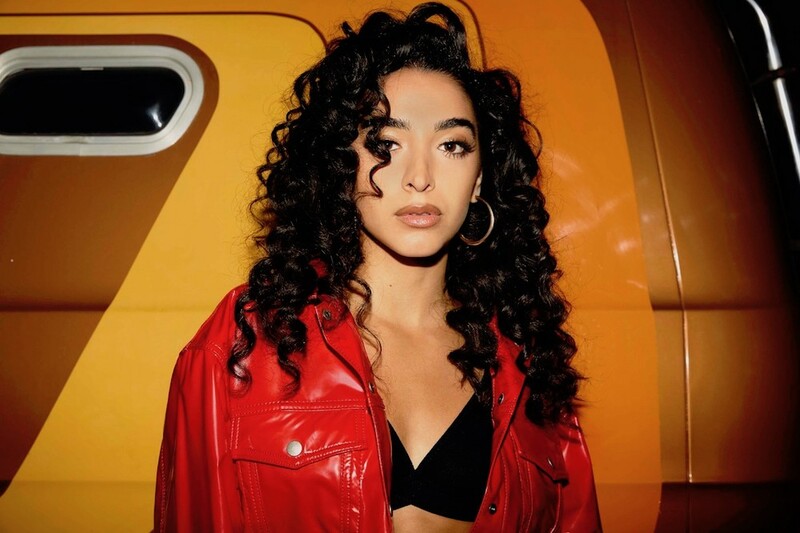 Also meet NOURI, the Kurdish singer born in a Syrian refugee camp who wants to put diversity on the music industry’s agenda. World-renowned DJ and Detone boss Darren Emerson (ex-Underworld) offers his six tips to running a successful record label, while we’ve sussed out the best underground parties in Paris, and trawled the archives to bring you a selection of must-see music documentaries.